Buderim Lions Club has forged an alliance with Fusion Sunshine Coast. The reason for this is to help to create opportunity for our local youth, especially those who are disaffected, disconnected or “at risk” individuals. These are the kids who if not given some help, will be the problems for society in later years. The Lions Club of Buderim provides mentoring for Fusion’s local management, and many of the young people they work with. With added financial, and volunteer input the Lions Club of Buderim has assisted Fusion on their substantial “street-work initiative”. This pro-active project involves the complete refurbishment of an old bus to provide a mobile and self contained “drop in” centre for youth. This is aimed at assisting ‘at risk’ teenagers on the Sunshine Coast. Fusion and Lions already have strong community support at this formative stage and expect even more support once the bus starts it community work. Fusion currently have no capacity to extend their service delivery and will use this mobile capacity to expand their programs, and their service delivery area. Once this project is implemented, Lions and Fusion’s aim is to build on this, and commit to further expansion of Fusion’s capacity over the long term. Sunshine Coast Fusion is based off Ballinger Road Buderim and is committed to special projects, fund-raising and mentoring of Coast Youth. The Buderim Lions Club helps out with hands-on input towards major one-off projects, fund-raising and with strategic operational input through a specialised committee drawn from local experts. This committee created by the Lions Club of Buderim provides mentoring for Fusion’s local management, and many of the young people they work with. With added financial, and volunteer input, the Lions Club of Buderim has assisted Fusion on their substantial “street-work initiative”. This pro-active project involves the complete refurbishment of an old bus to provide a mobile and self-contained “drop in” centre for youth. This is aimed at assisting ‘at risk’ teenagers on the Sunshine Coast. Fusion and Lions already have strong community support at this formative stage and expect even more support once the bus starts it community work. Fusion use this mobile capacity to expand their programs, and their service delivery area. Lions and Fusion’s aim is to build on this and commit to further expansion of Fusion’s capacity over the long term. Lions Club of Buderim believes that Fusion deserves substantial support, both financially from donations, and from volunteers. Fusion Australia is one of the longest established youth organisations in the country. Established in Sydney in 1960, Fusion today is an international youth and community organisation which now has 30 centres in Australia with 250 staff and thousands of volunteers and also works in the UK, Albania, Greece, Germany, Canada, the West Indies, West Africa, India and Indonesia. The majority of staff volunteer their time and raise their own support. 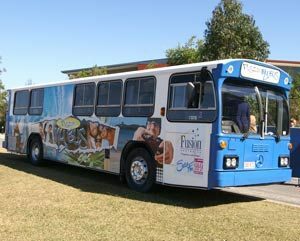 Fusion Sunshine Coast operates across the whole of the Sunshine Coast including Nambour and is based at the Alcooringa Youth and family support Centre at Buderim. (Ph 07 5476 5033). Fusion’s prime focus is on services & programs for at risk, troubled & disadvantaged young people mainly between the ages of 13 & 17, and their families. The increase in numbers of these young people on the Sunshine Coast and the resulting alienation, alcohol and drug abuse and growth in crime and violence is a major community concern. Studies also show that around 1 in 4 young people experience depression and suffer from low self-esteem which again can lead to alienation, self harm and suicide. Providing these young individuals with a sense of meaning and community enables them to become resilient and better able to cope with crises that life brings, and substantially increases their opportunities in becoming supportive and productive members of the greater community. Lunch time programs in schools which facilitate skills training and interaction & provide a means to build relationships with isolated individuals. Outdoor education programs, particularly youth adventure day trips designed to build trust & confidence and to develop personal leadership skills. 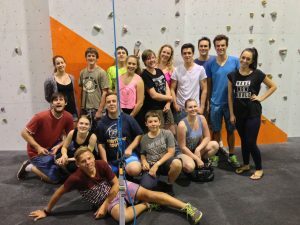 Fusion is one of the longest established youth support groups in Australia and has an excellent reputation for its programs and for the work it does across the country. Alcooringa at Buderim operates with very tight funding with the majority of funds coming from their Wombat recycled clothing shop in Maroochydore, from hiring out facilities at Alcooringa and from donations. All staff and team leaders at Fusion Sunshine Coast are volunteers.